The DeLorean DMC-12 is a car that should have been great, but failed due to a long series of forced compromises and ultimately, a plane full of cocaine. The story of John DeLorean is a remarkable one and it’s been covered elsewhere to death, so I won’t rehash it here. If you’d like to learn more about John DeLoren and the sordid story behind the downfall of DMC you can click here to watch a documentary on the man and the machine presented by Eddie Irvine. Originally, the DMC-12 was set to have a fire breathing centrally-mounted Citroën/NSU Comotor Wankel engine and the chassis was to be made using the Elastic Reservoir Moulding process which was intended to be cheaper than standard processes and produce a lighter, stiffer car. Sadly, both of these plans had to be shelved – the engine went out of production and the ERM process was deemed unsuitable for the application. John DeLorean set about finding alternatives and quickly settled on the 2849cc PRV ZMJ-159 V6 and chassis production was tasked to Lotus, and headed up by Colin Chapman. 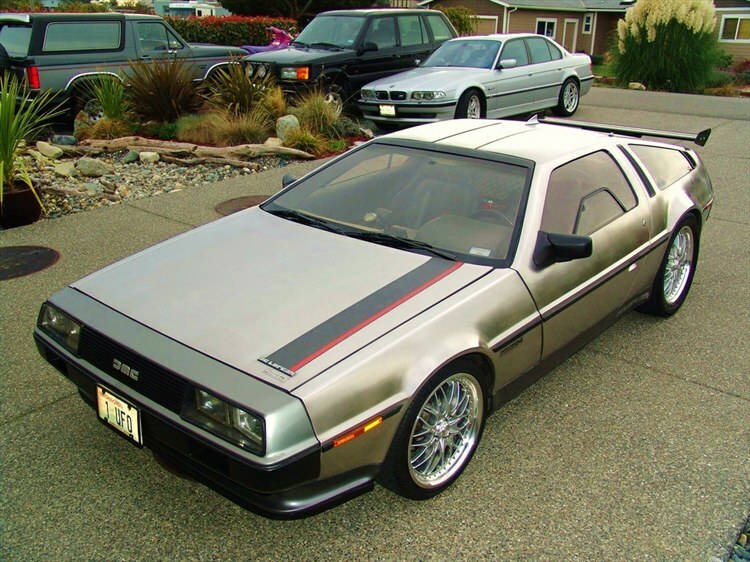 Chapman took the original Giugiaro design for the DeLorean and fitted it to a modified platform used on his own (also Giugiaro designed) Lotus Esprit. The team at Lotus spent significant time working on maximising the handling of the car – It’s still not known why but before the DMC-12 began shipping to customers the front ride-height was increased which had an immediate and detrimental effect on handling, the original Lotus bumper-height was already legal in the United States and no one has ever come forward with a satisfactory answer as to why this was done. Many current DeLorean owners modify their car’s suspension to match the original specification by Chapman, this significantly improves handling and also gives the car a cleaner profile – the car pictured here is running its original suspension and you can see the additional and slightly awkward looking extra height above the wheel in the front wheel arch. It isn’t widely known that production of the DeLorean restarted in 2008 in Texas, it’s now possible to buy a brand new DMC-12 and they’ve even created a lithium-ion powered electric version.